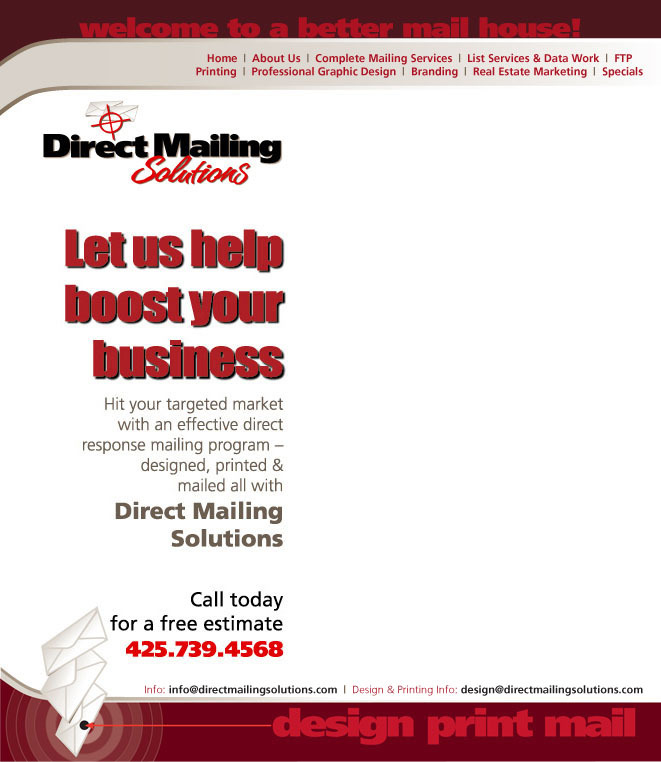 Direct Mailing Solutions :: design.print.mail. Whether you need to notify your current customers about your upcoming events, sales & special offers – or if you want to inform people new to the area about your services – direct mail marketing is an immediate and measurable way to let them know. Direct Mailing Solutions has the professional marketing experience & graphic design services to help you achieve your business goals. 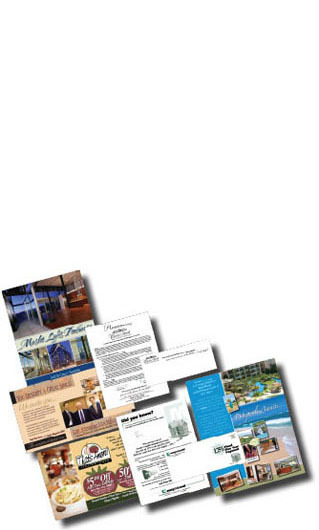 We can design, print and mail your materials at one convenient location, at a reasonable price. Big or small, we’ve got the experience and know-how to get the job done right. Our knowledgeable and super friendly staff will assist you in all your direct mail needs, from estimates to finished project. © 2015 This site created and maintained by Direct Mailing Solutions.